March 24, 2017 — The Sunshine State of Florida may set an aggregate polling record if the current surveying pace continues. 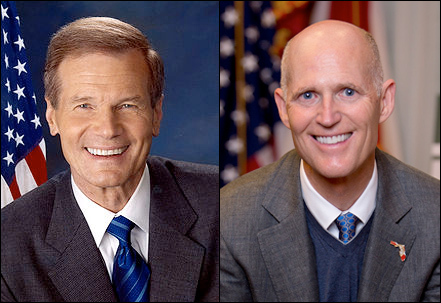 Already we have seen four different pollsters test what may evolve into a US Senate political battle between incumbent Bill Nelson (D) and Gov. Rick Scott (R), including two new studies released just this week. More telling than the sheer polling volume is seeing all four surveying entities detect virtually the same result. That is, Sen. Nelson has a discernible lead, as one would expect from a three-term incumbent, but his advantage is small and he fails to top 50 percent in any of the publicized ballot tests. Sen. Nelson was first elected to the House in 1978 after spending six years in the Florida legislature. He served until running for governor in 1990, losing the Democratic primary to former three-term Sen. Lawton Chiles, who would go onto unseat Gov. Bob Martinez (R) to win the statewide political position. Nelson returned to win the office of Florida treasurer, insurance commissioner and fire marshal in 1994, and then was elected US senator in 2000. He will be 76 years old in November of 2018, and has said on numerous public occasions that he will run for a fourth term. Gov. 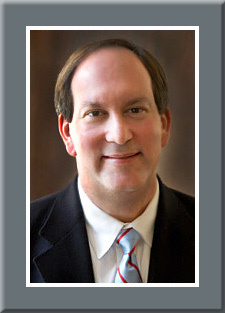 Scott came to politics after a career in the hospital industry, which led to him forming his own venture capital firm. Politically, he seems to specialize in winning close, upset elections. He nipped then-Attorney General and former US Congressman Bill McCollum in the 2010 Republican gubernatorial primary with a three-point margin of victory, and then defeated Florida CFO Alex Sink (D), 49-48 percent, in a contest that the latter was expected to win easily. Despite poor job approval ratings, Gov. Scott was able to slip past former Gov. Charlie Crist (D) in his re-election campaign, in yet another one-point race (48-47 percent). Aug. 26, 2016 — Yesterday, we reported about a Florida shock poll from St. Leo University that projected Donald Trump to be lagging 14 percentage points behind Hillary Clinton, but already the situation has changed. Now, Florida Atlantic University releases its new data finding Trump actually ahead of Clinton, 43-41 percent. Confirming that trend, the Florida Chamber of Commerce also reported their new data, taken over the Aug. 17-22 period (sample size not available). This poll also finds Trump leading, 44-41 percent. Methodologically, the set-up between the St. Leo and FAU surveys is similar, though there is no evidence that FAU uses online polling and St. Leo exclusively does. The latter organization’s poll directors were in the field from Aug. 14-18, FAU, Aug. 19-22. The St. Leo sampling universe began with 1,500 Florida adults and winnowed to 1,380 likely voters. FAU’s sample size was 1,200 registered voters. Thus, the time periods and sample sizes are similar. June 22, 2016 — It appears that Florida Sen. Marco Rubio (R) will change course and run for re-election after repeatedly saying he would not. GOP leaders, fearing they would lose the seat without him, have apparently prevailed upon him to seek re-election after exerting intense pressure. We will know for sure very shortly, because the state’s candidate filing deadline closes Friday afternoon. But, Rubio’s decision will not only affect the Senate race. Two House district campaigns could also drastically change if he launches a new campaign. Already, Rep. David Jolly (R-FL-13) has left the Senate race and returns to his Pinellas County congressional district to fight an uphill battle for re-election in an unfavorable post-redistricting seat. The state Supreme Court drew a new 13th CD that greatly favors the Democrats, and party switching former Gov. Charlie Crist will be Jolly’s general election opponent.